20 Aug 2018 --- Welch’s Global Ingredients Group has embarked on a foray into the wine industry with the launch of a Niagara grape juice solution designed for a broad variety of different wine styles. According to the US ingredients supplier, the juice is perfect for fermentation and blending with wine made from more traditional wine grape varieties and even other fruits. The grape juice supplier says is expanding into wine with its Niagara grape juice solution designed to save wineries money as juice grapes typically sell at a significantly lower price when compared to wine grapes, which means the new juice solution is a good option for winemakers looking to reduce raw material costs without impacting quality. 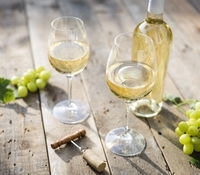 The Niagara grape is a white grape with a golden hue which delivers a sophisticated flavor profile that is crisp, sweet, light and refreshing as well as being a popular ingredient in the juices and soft beverages category. R&D specialists at Welch’s Global Ingredients Group have developed a de-characterized version of the juice that is ideal for fermentation and blending with wine. Speaking to FoodIngredientsFirst Zach Longhini from Welch’s explains the opportunities for wineries and how the company is also tapping into new opportunities by expanding its portfolio and diversifying beyond grape ingredients. “Now we are looking a lot more at the winery industry, there is a lot going on with this industry which is a growing market and we have a very compelling advantage when it comes to winery in that juice grapes tend to sell at much lower price than wine grapes so we can utilize that as, not only as a way to continue to diversify our customer base but also to help the wineries become more cost competitive and efficient on their own as well,” he says. “We are now processing apple for sales to other companies for juices, juice concentrates and purees in order to better utilize our assets, create more efficiencies and pass along those savings to our customer base,” he adds. Welch’s Global Ingredients Group can also supply ingredients from multiple regions across the US through its plant locations in New York, Pennsylvania, Michigan, and Washington State. This footprint, along with more than 40 million gallons of bulk storage, allows the company to provide regional winemakers with both storage and freight savings opportunities. Longhini also tells FoodIngredientsFirst how Welch’s is improving its marketing on the Concord grape and is also looking into its health and well-being benefits, such as potential cardiovascular benefits and how it can help with well-being, exercise, health and recovery. “We’re excited to be expanding our capabilities to provide a cost-effective ingredient solution for the winemaking industry. This will be an important market for us going forward, and we have further winery-specific innovations in the pipeline,” Kevin Kilcoyne, VP & General Manager, Global Ingredients Group at Welch’s concludes. 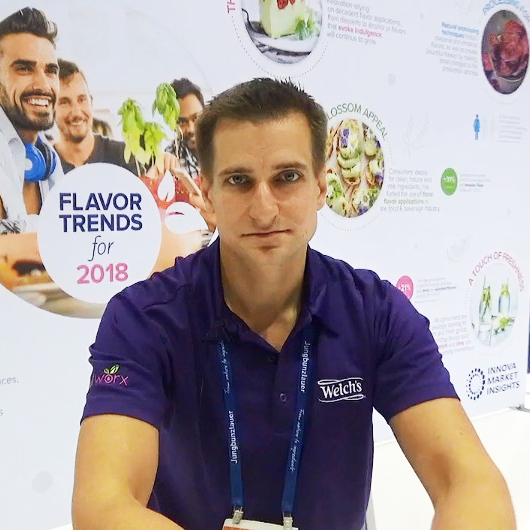 You can watch a video interview regarding Welch's strategy recorded at the 2018 IFT Food Expo in Chicago here.